Digital Marketing is growing at a rapid pace. With increasing demand for Digital Marketers, MNC, Nationalised companies and small business are constantly looking to hire SEO specialists, SEM Analyst and Social Media Marketers. Students from various educational background are opting for Digital Marketing as a career as the salary packages are better with a scope of increment in shortest span of time. Here are some of the most common interview questions that will help you to clear your digital marketing interview. These questions are for both freshers and the skilled. Read them through to be all set to face the interview. 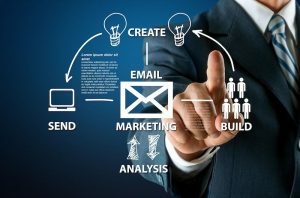 Answer: Digital marketing is an umbrella term for the targeted, measurable, and interactive marketing of products or services using digital technologies to reach and convert leads into customers.The key objective is to promote brands, build preference and increase sales through variousdigital marketing techniques. Name Some Areas Where Keyword Optimization Is Done. Answer: For a better page ranking, keywords placement is important. 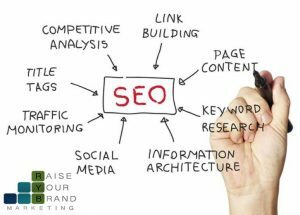 Answer: Search Engine Optimization widely known as SEO is the process of improving the structure, content and organization of your site, so that the Search engines can index them correctly. It also involves doing promotional activities to boost your search engine rank. 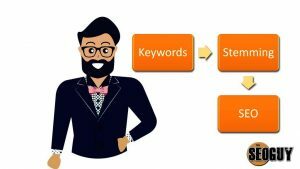 Explain What Is A Keyword In Digital Marketing? How Important Is It From The Point Of Seo? Answer: “Keyword” in digital marketing is the word that a user’s or person enters into a search engine to find specific information. Do You Know About The Concept Of Ppc And The Models For Designing Ppc Campaigns? Answer: PPC means Pay per click. It is an advertising system, where the marketer uses the space of an advertising platform to place an ad. The advertiser pays the owner of the platform whenever a visitor clicks on the ad. One can go in for a flat rate PPC, where a specific amount is paid any time the ad is clicked. The publisher may have different rates for different positions on the website. In a bid-based model, the advertiser competes with others by placing a bid. He specifies a budget and accordingly his ad is given a rank. Answer: Google Adwords is the single most popular PPC advertising system in the world. It works on Pay per click model. The AdWords platform enables the business to create ads that appear on Google search engine and their other properties. Answer: Keyword streaming means analyzing the relevant keywords and choose the best keyword for the website based on its target, in order to get organic traffics and leads through the keywords. Answer: Most people today go for digital marketing as it comes with numerous benefits. SEO, web development, and hosting are some of the most useful platforms for online marketing. Answer: Keywords determine how to drive organic traffic. Keyword research helps in optimizing the structure and content of the website. By including the right keywords in website’s URL, Meta descriptions, title tags and website content one can ensure a higher ranking of the webpage. But it isn’t just about SEO. Keyword research forms the basis of all digital marketing strategies. How Would You Classify Digital Marketing? Answer: The digital marketing is divided into two segments, which are inbound marketing and outbound marketing. In inbound marketing, you can take help of social media in terms of content, e-books to get the maximum traffic on links. Whereas, outbound marketing encompassing emails, cold calls, placing ads or reach out targeted audience via digital mediums. Which Are The Most Useful Online Marketing Tools? 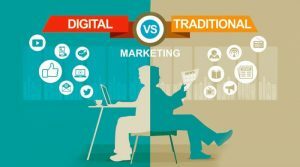 Why Do You Think Online Marketing Has Taken Over The Traditional Marketing Strategies? Answer: Online marketing is a targeted and interactive way of reaching out to customers. Through various digital marketing platforms like Social media, LinkedIn, Blogs, PPC one can promote and advertise the brand in a cost-effective manner. Tools like Google Analytics help in keeping track of the efforts and calculate the return on investment and measure the results of the digital marketing efforts. Real-time information regarding a number of visitors, conversion rates enables the marketer to tweak the campaign so as to achieve the desired result effectively. Most of this is not possible with traditional marketing techniques. Answer: Most definitely! It’s been proven again and again by business after business. In fact, not utilizing social media marketing can actually harm your business, since having an online presence on social media is simply expected of any reputable firm these days. Answer: Whether your business is taking advantage of it or not, social media has forever changed the way that consumers communicate with businesses, and vice versa. Being accessible to your customers – and your prospective clients – via social media is a vital means of developing relationships with them and helping them through the sales funnel. Answer: Success is measured using the same metrics you use for any other marketing activity: traffic, leads, and customers. Counting the number of fans or followers you have can help you understand your social media reach, but the bottom line that determines its success is how many people it drives to your site, how many of them are qualified leads, and how many of them actually become customers. Answer: One thing is for certain – social media marketing is never free. Whether you’re spending your own valuable time on it, asking an employee to add it to their workload, hiring a social media employee, or outsourcing to a marketing firm, there is always a cost. The key is to get the maximum ROI out of the time or money you put into it. It’s important to remember, however, that ROI doesn’t have to mean revenue. It can, but it can also mean meeting other objectives, such as getting new leads, increasing email subscriptions, or even boosting customer satisfaction. The ROI you end up with is the direct result of how focused your social media marketing strategy is. Answer: Yes! A blog is one of those non-negotiables. Apart from all of the benefits it provides on its own, such as increasing your credibility as an industry expert, and providing fresh, keyword-rich content on a regular basis to please the search engines, a blog is a vital component of social media marketing. Answer: It’s important for both, but in different ways. While B2C businesses can focus on more light-hearted, fun social media posts, B2B businesses need to use social media to share valuable industry content. As a tool for connecting a business with its customers, however, social media is vital to both. Answer: Facebook is the social media platform of choice for over a billion people worldwide. Use it to connect and interact with your audience, and to share your content in a way that encourages your fans to share it as well. Answer: Twitter has over 313 million users, and is ideal for sharing your content and connecting with other influencers in your industry. Answer: LinkedIn has over 467 million users. It is a great place to share your credentials with the world, but more importantly, it’s the perfect place to interact with your audience online. Using LinkedIn Groups, you can answer questions and contribute to discussions in order to demonstrate your industry thought leadership as well as your willingness to help others generously. Answer: Though it started out looking promising, Google+ is one platform we don’t recommend using for marketing purposes anymore. Answer: Videos are becoming more and more important in the world of social media marketing. YouTube gets over 4 billion views per day! Promote your brand’s image through a video, let your audience have a peek behind the scenes at your business, or make a how-to video. Answer: Guest blogging is one of the most effective and widely discussed methods of outreach, but social media can help your outreach efforts significantly, as well. Connect with other influencers in your industry via social media, and then build relationships with them through conversations and helping them to promote their content. Building a relationship in this way before reaching out to ask for a guest blogging opportunity can boost your chances of success greatly – and when your audience sees that you regularly converse with other experts via social media, they’ll see you as an expert, too! Answer: Taking “control” of your brand isn’t really possible anymore, thanks to social media. Whether you’re in the conversation or not, people will talk about you online, and there’s no way for you to “control” what they say. But what you can do is join in those conversations, and influence them by being a part of them. From negative reviews on Yelp to customer complaints on Twitter, the way to influence your audience’s perception of your brand is to participate in the conversations, and steer them in a direction you’re happy with. Should Each Department In My Company Have Its Own Social Media Initiatives? Answer: A company’s social media activities don’t have to all come from the same place – but they do need to be coordinated, and that can be hard to do when each department is doing their own thing. Sending differing messages causes more confusion to customers than anything else – consistency is key. Answer: Timing is everything in social media marketing. The good news is, by using social media you have the opportunity to reach your specific audience in real-time. But even though there are many tools you can use to schedule and automate posts to save some time, you’ll also want to keep track of the activity on your social media accounts throughout the day, so that you can provide timely responses to audience questions and comments. Between strategizing, creating and posting content and images, responding to your audience, and checking analytics, social media done right can be a full-time job. Answer: It is process of getting traffic from free and paid listing on the search engine like. How To Get Top Position In Seo? What Do You Know About On Page Optimization? Answer: Where we need to work on On page of our site and we can make changes on title tag, meta tag,site structure and site content, links and keyword.And On page optimization we need to work also on logical factors. What Do You Know About Off Page Optimization ? Answer: Off page optimization means we can work on important factors like directory submission,link building,social media and fresh content.And Off page optimization we don’t need to work on logical abilities. Answer: The Panda is for improve the search result in Google.The latest panda version is 2.5.3 . All the focus was transformed on the user and now quality content , proper design, proper speed, proper use of images and videos, content to ad ratio all mattered more after the Panda update. What Do You Know About Latest Update In Penguin? Answer: Matt cutt is the head of Google web spam team. What Are Web Master Tools? Answer: Webmaster tools is free service by google where we can check all the details like indexing data,daily user, stats ,search query,CTR and XML sitemap. Which Important Factors Makes On Page Optimization Better? Which Important Factors Makes Off Page Optimization Better? Answer: LSI stands for latent semantic indexing.It is data retrieval technique. Answer: In title tag approx 70 characters we can add. How Many Types Of Meta Tags And Their Characters Limit? Answer: Google webmaster tools, Google analytic,keyword research,Alexa,open site explorer. How Many Seo Techniques Do You Know? What Is Black Hat Seo? And How Many Techniques Used In It? Note:- For Best seo this technique is not good avoid this technique. Answer: PPC means Pay Per Click. It’s a marketing strategy to drive traffic to our website via search engines and partner sites. Advertiser will only pay if he receives the visit click on his ads. Answer: Campaign management is a process of creating and managing an advertising campaign for a company on Google AdWords. In this we have to divide the campaign based on AdGroups and select relevant keywords for each adgroups. Manage the ad formats and bidding for keywords etc. Campaign manager overall responsibility is to manage the campaign and provide a Positive ROI. Answer: Double Click for Advertisers. DFA is an ad server which is used to track impressions and clicks for your creatives on various networks. You can’t buy inventory through DFA. You can only track the performance of your campaigns. Main functions of DFA is ad trafficking and reporting. Answer: DFP stands for Double Click for Publishers. If the publisher prefers to manage themselves the ads which will be broadcasted on their websites, they use DFP. For example most of the public sites like way2sms.com, w3schools.com etc use DFP for ads. Answer: DBM (DoubleClick Bid Manager) is a demand-side platform (DSP) from Google. This helps in buying display media ads using programmatic strategy. Answer: Ad trafficking is a process of setting up an ad campaign from a technical aspect. Which means Setting up the campaign, tracking links, the creatives etc… It is usually performed using an ad server or an advertising platform. For example Ad Trafficking is used in DFA/DFP. Answer: No DFA is a not an ad exchange. The purpose of DFA is to track and analyze the impressions/clicks received on the ad creatives. Answer: Click tags are used to track the number of clicks on the link from different sources. Answer: GPT is an ad tagging library to dynamically build ad requests. GPT takes key details from you such as ad unit code, ad size, and key-values, builds the request, and displays the ad on web pages or mobile apps. Its is used for tracking purpose. Answer: In a direct marketing campaign the advertiser is interested to target the audience who are most relevant to the business. The major metric to consider in this type is conversion rate, which explains about ROI. Most common campaign types are Search Network Only, Shopping Campaigns, Dynamic Search Ads etc. Answer: Time Zone and Currency cannot be changed after account creation. Answer: It means that an advertiser cannot advertise for same keywords/websites from multiple accounts. The purpose of this policy is to avoid showing ads of same companies or companies with common ownership. So the users can see the the ads from different providers. Answer: Quality Score is a metric which is calculated for each keyword between 1 to 10. The QS defines the quality of keyword compared with Ads and Landing Page. This metric is used to calculate the AdRank, which is used to calculate the ad position. What Is The Impact Of Quality Score On CPC And Ad Position? Answer: Quality Score is inversely proportional to CPC and Directly proportional to Ad Position. That means higher QS means lower cost and higher position. Answer: The actual cost of a click for an advertiser in an auction. The actual CPC is calculated in realtime and we cannot know the Actual CPC, but we can see Avg. CPC. What Kind Of Quality Score You Can Achieve For Keywords? Answer: In my past campaigns I achieved the QS of 7 – 10. I can improve the quality score by using optimization techniques in campaign. Answer: By creating ads which match perfectly with keywords and creating tightly themed ad groups so we can get targeted users to best landing page. Also by improving the Landing Page quality we can improve the conversions. Answer: Never, Search Engine don’t mix them. Google and other search engines rank both organic and ppc results separately. Can You Tell Me Limit Of Character Used For Ppc Ads? Answer: Different Search Engines have different Limit on ads character as for Google you can put maximum 25 for headline and 70 for description 1 and 2 combined. Answer: Mobile Marketing is new channel of marketing that uses smart phones, tablets, or other mobile devices to reach the customers. The medium could be SMS, MMS, videos, email, social media or mobile application. Less expensive – Creating and broadcasting the SMS is easier, simpler and faster than laptop and desktop. Easy Adaptability – Simple content makes it easy to adapt to various screen size. Instant Message – The message sent will be received by the receiver instantly. If the mobile is on standby mode the receiver will receive the message immediately as he/she puts it on. Viral Effect – Mobile messages can have viral effect. If you send a good discount or offer or some good news, people instantly share it. Deeper Penetration – With almost everyone possessing a mobile phone these day, getting the message far and wide has become easier. Easy Tracking – The data received can be tracked easily and helps the marketer to understand and analyze the buyers or users behavior. High Click Rate – As compared to other marketing channels mobile marketing has high click rate for the ads. What Are The Limitations Of Mobile Marketing? Answer: Yes, there are certain things that make mobile marketing less preferred. Limited Ads – While sending a message on phone you cannot send all types of ads. You have to limit your content, images, and videos while sending a message on mobile. This limits the communication. Navigation – Using a mobile phone makes it difficult to navigate from one link to another which can be done on Laptop and desktop easily. Privacy – Most of the mobile users use their phone for personal messaging and many of them are subscribed to Do Not Disturb service that bars you from sending commercial messages. Different platforms – These days, mobile phones are available in different screen sizes making it difficult to create a campaign which can fit on all of them. Answer: When people talk about “mobile,” they may ask you if your website and emails are “mobile friendly” or “mobile responsive.” This is basically a technology question that addresses how different platforms and devices display content. You can also achieve a mobile-friendly email without worrying about the technology behind it. Mobile friendly can be as simple as choosing a single-column template, writing concise subject lines, or creating short, to-the-point content. Answer: If you want your audience to open and engage with your emails, you need to create messages that are short and easy to read. Don’t use too much text because mobile users don’t want to scroll through a long page of content. Try using a photo or a video to tell the story instead of a long article. Also, avoid small fonts. The optimal size is 22 point for headlines and 16 point body text. How Would You Plan Your Mobile Marketing Strategy For A New Product Launch? Know your audience – Know how the audience uses their mobile to know your brand. Each one uses their mobile phone for a different purpose. Know your business objective – Knowing your business objective is very important. It will help you create an engaging app for your users. Your mobile strategy should fulfill the business objective and have a wider audience. Know the best mobile marketing channel – Know which channel of mobile marketing is the best for your audience. What Are The Most Important Things To Know Before You Start Developing Your Mobile App? Answer: There are two very important things that you need to know before you jump into developing your app. Why are you building this app? – The Purpose. Who will be using it? – The User. Answer: As the name suggests, push notification is a message for a user to use the mobile app which he/she is not currently using. It aims to push the user’s attention which can increase the traffic to the mobile app. What Possible Outcomes Can Business Houses Expect From Mobile Marketing? Answer: Mobile marketing should be used as a long-term marketing channel for the company. Explain Opt-In And Opt Out? Answer: Opt-in is a permission given by the mobile app user to be a part of the campaign and opt-out is the decision to be out of the campaign. How Would You Attract Facebook Users Through Mobile Phones? Answer: The number of people using mobile phones to access Facebook is increasing. 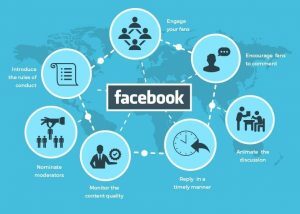 Promoting yourself on Facebook sends traffic to the website which results in a better ROI. While advertising for mobile phones through Facebook you should use attractive images, mobile-friendly landing pages, and short video to get the attention of the users. How Can Nonprofits Use Mobile For Community Outreach? Answer: Keep the best practices listed above for mobile design and content in mind. Make your messages easy to read and interact with. Provide your audience with valuable information about your mission and updates on what you’re doing. Tell them how they can help with their time or money. If you have a fundraising campaign, make it easy for your readers to donate with a direct link to online giving. Tell them how their donations will impact the people you serve. We Don’t Want To Spend On Advertising. What’s The Best Way To Get Our App Found? Answer: For businesses running on tight marketing budget, app stores are the main channels to get found. Answer: MMS stands for Multimedia Message Service. Here the sender sends multimedia messages. An MMS has audio, video, and images. Answer: SMS stands for ‘Short Message Service’ which is a small text message sent to our phones. This marketing channel is widely used to pass on important information by the government and business houses. The companies also communicate their special offers, new launches etc. to their customer through SMS. Is It Ok To Attract Incentivized Downloads For Your Mobile App? Answer: Many business do offer incentives on downloading their app. However, the problem with this type of customers is that they are usually low value users and many of them stop using the app after availing the benefit. This inflates the download figures usually but doesn’t turn into return. What Are The Different Ways To Make Money From My Mobile App? Pay to use – Ask users to pay to use your app. However, this would reduce the number of downloads. Pay to Upgrade – Basic app is free but for additional features the user has to pay. Advertising – Run advertisements in your app. Sell – The customers can purchase. What Are Your Top Cost-effective Mobile Marketing Recommendations? Answer: You don’t have to spend money on text-message marketing or building an app. If you’re already using email marketing, you’re already investing in mobile marketing. As noted above, the key is to send mobile-friendly communications to your readers. Next, invest time in the mobile search. Claim your listing on search apps and websites. Finally, enlist your readers to do mobile marketing for you. Encourage them to use their phones at your business or events to take photos, write reviews, and share with their networks. What Is The Mean Of “email Deliver-ability And Email Open Rates”? Answer: These are two important email marketing metrics that should serve as the initial measure of your email marketing success. Email deliverability rate (or acceptance rate) is the success rate of getting an email delivered to a person’s email address. To find out the deliverability rate of your email marketing, you simply take the number of emails delivered and divide it by the number that were sent. Answer: Spam reports: how many times your emails were marked as junk mail/spam by recipients. Answer: Unsubscribes: how many people unsubscribed from your emails. Answer: Inbox rates: how many delivered emails actually made it into someone’s inbox (rather than their junk folder). Answer: Bounce rates: the percentage of emails that were rejected by recipients’ mail servers. Which Metrics Should I Track For Email Marketing? Answer: Over time, you need to track your email marketing efforts alongside your larger goals, whether they’re direct sales (like B2C retail companies), website traffic and conversions (B2B or B2C with long sales cycles) or referral business. Tell Me About Good Email Open Rate? Answer: Similar to the best day/time to send an email, this question can also be a bit slippery to nail down. It’s like comparing apples and oranges. Even if two people in the same industry sent the same email at the same time with the same content, they could have very different open rates due to factors like list quality and personal relationship. How Many Emails Should I Send To My Customers? Answer: Once a month is fine for keeping your name in front of someone. Two-three times a month leaves enough time in between emails so you don’t become a nuisance. Obviously, four times a month gets you to a weekly consistency. Essentially, you can keep increasing your send frequency as much as you want, but be conscious of your open and unsubscribe rates. When your engagement starts to decline, you know you’ve taken it too far. How Often Should Send Emails To Customers? Answer: The jury is not as undecided on this as they are on the best time and day to send emails. The optimal frequency to contact your customers is one to four times a month. This is the frequency we use for our customers, and our clients see great results with a twice-a-month schedule. Tell Me About The Best Time And Day To Send Emails? Answer: Early mornings and weekends … but also says those days/times are also the most likely to get you unsubscribes and bounces. There are many right answers to this question. If you’re looking for a fairly safe bet, try Wednesday afternoons around 2 p.m. But every person, recipient and email list is different. Try different days and times and find what works best for your audience. Which Practices Are Best For Email Subject Lines? Answer: You have only 3-4 seconds before someone decides whether or not they are going to open your email, so it’s important to make an impact.. Best practices for subject lines are debatable, especially when trying to compare different industries and topics. However, there are some ballpark best practices for subject lines that you can feel confident about following. Fifty characters is generally a good, safe rule of thumb to follow. However, people have seen great success with subject lines over 70 characters and less than 49, so feel free to experiment. Other tactics that work well in subject lines include asking questions, numbered lists and personalization. List The Laws Of Email Marketing? Answer: As I mentioned above, it’s good to email people you personally know. However, some email lists might include people from bought lists or lead gen services (which you should generally avoid). We don’t recommend buying lists because there are laws in place to protect people from receiving certain types of unsolicited communications. How To Figure Out What To Write About? Answer: If you’re not writing something that your audience cares about, you won’t get their attention, even if you do land the email in their inbox. The emails should be directly tied to the subject line and written in a short, consistent way that makes it quickly readable and easily digested.